Those of you with access to "New FamilySearch" will want to view a seminar we presented last week in Mesa, Arizona. We recorded the seminar and published it online for you to view. The syllabus pages are also available for you to download. The seminar, entitled "An Overview of Legacy Family Tree and its New FamilySearch Tools" was taught by Legacy's Geoff Rasmussen (that's me...) and was presented as a training session for LDS Family History Center consultants. It contains both an overview of working with Legacy and working with Legacy's new FamilySearch features. The seminar and handouts can be used for personal training or as a teaching tool for your next Family History Center training meeting. To view the seminar, visit our Legacy-FamilySearch web page at http://www.LegacyFamilyTree.com/fs.asp and click on the 4th video in the "Video Tutorials" section. By the way...this weekend we released an update to Legacy which added several Legacy-FS features and corrected various bugs that you've reported to us. We haven't made the "official" announcement yet though. 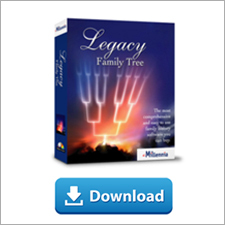 Visit http://www.legacyfamilytree.com/RevisionHistory7.asp for the revision history or http://www.legacyfamilytree.com/DownloadUpdate.asp to download the update. So, the matching and combining functionality in 7.4 will prepare you for the features in 7.5. LDS users will want to know that although the ordinance reservation tools will not be available until 7.5, 7.4 will provide you with the ability to reserve ordinances via the new.FamilySearch.org web site. In the next month or so after 7.4's release, we will complete the software development to receive certification in the following categories: Sync, Update, and Ordinance Reservation. This is mostly done now, but we want to give you what we have - a great, solid version 7.4. We will then release these final features in Legacy 7.5. Video Tutorials - we've published our first video entitled Getting Started in Legacy Family Tree for the brand new LDS genealogist. By now, you've probably read about the next great update to Legacy - version 7.5. If not, we've written about it here, here, here, here, and here. This article will explain what version 7.5 will add to Legacy 7.0 and give guidance on how to best prepare for the update. For years, FamilySearch has worked on developing a web application for researchers to be able to interact with a very large, unified database of connected genealogical information. This new system is being released in phases - first for members of the LDS church while it is tested and perfected, and then to the public. 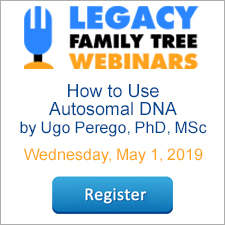 Legacy version 7.5 will add new tools to help researchers collaborate, backup, and optionally synchronize their Legacy family files with the data in the FamilySearch databases. These new tools should encourage better research collaboration and prevent research and ordinance duplication. Nothing. Legacy 7.5 will be a free update to Legacy 7.0. When it is available, all you will need to do is download and install the update as you usually install Legacy updates. The new FamilySearch integration tools will be available as part of both the Standard (free) and Deluxe editions of Legacy. Who should download Legacy 7.5? Everyone. Although the only "new" addition in 7.5 will be the New FamilySearch integration tools, we will still correct bugs and add new features as we usually do with our normal updates. However, gaining access to the new FamilySearch databases requires an account. Currently, registering for a new account is restricted to members of the LDS church. As we've previously announced, 7.5 is still on track to be released before the end of the year. We've made great progress and have completed the software certification requirements for Access certification. We're putting the final touches on the next phase of software certification right now. Stay tuned here for the official release announcements. Even if 7.5 were released today, nobody should begin using the new FamilySearch integration tools without first performing some clean-up and standardization techniques in their Legacy family file. We will begin to publish these suggestions in upcoming Legacy News articles. Click on the image below for a sneak peek of one of the FamilySearch integration screens.